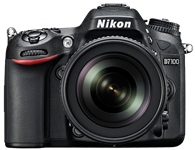 Nikon has released a firmware update for its Nikon D7100 digital SLR. Firmware version C 1.01 corrects errors in how certain kinds of shooting data is displayed, and aims to resolve other issues relating to live view shooting of stills and video. Click through for more details and a link to download the latest D7100 firmware. We've just published our 25-page, in-depth review of the Nikon D7100. Sitting atop Nikon's APS-C DSLR lineup, the D7100 offers a 24MP CMOS sensor sans AA filter and a 51-point AF system that borrows heavily from the D4. In terms of ergonomics and handling the D7100 will feel familiar to D7000 users looking to upgrade, but it also inherits recent changes we've seen from Nikon in the D600 and D800 models. Is the D7100 a compelling option for enthusiasts tempted by the recent wave of affordable full frame DSLRs? Click through to find out. The enthusiast-targeted Nikon D7100 becomes the company's latest APS-C DSLR to feature a 24MP sensor, joining the D3200 and D5200 models that were announced in 2012. 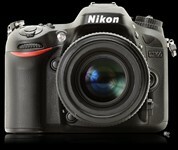 As the eagerly anticipated successor to the very popular two-and-a-half year old D7000, the D7100 faces a sizeable task. In our in-depth review we found its predcessor to combine very good image quality, class-leading noise performance and great handling in a solidly-built body. We've just received a reviewable Nikon D7100, and have been lucky enough to get access to pre-release raw support from Adobe, which has allowed us to add Nikon's newest 24MP DSLR to our studio comparison database. We've also taken advantage of our first opportunity to shoot 'real world' images with the D7100 and its 18-105 kit lens at a range of ISO sensitivities. Click through for links to both the studio comparisons and real-world samples gallery. Nikon has just posted a small 6-image sample gallery from the new D7100. 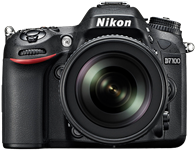 The D7100 is a 24MP, APS-C DSLR that does not feature an optical low-pass filter on its sensor. Theoretically, this should increase detail resolution. As well as an unconventional sensor, the D7100 offers a 51-point AF system and a 1.3X crop mode in stills and video capture. The images that Nikon has posted were taken in .NEF Raw mode with the D7100 fitted with the AF-S NIKKOR 500mm f/4G ED VR and AF-S NIKKOR 70-200mm f/4G ED VR.